Nismes-Delclou is the oldest firm producing Armagnac, founded in 1832 by Baron Hausmann, then Chief Commissioner of Police in Paris. It has since remained in the hands of the same family. Today, Florence Castarede, the sixth generation continues the tradition of producing wonderfully rich, perfumed and smooth Armagnacs which are amongst the finest in the region. The house of Castarede enjoys an enviable reputation for holding impressive stock of old vintages, going back to 1881. Only the finest fruit from the Bas Armagnac region is used and the eaux-de-vie are matured slowly in wooden casks and demejans in two different locations: In the old Nismes-Delclou cellars by the Baise river at the Pont de Bordes in Lavardac and in Château Maniban at Mauleon d'Armagnac. This old magnificent castle of Maniban was built in the 16th century, and is a classified historical monument. The estate is surrounded by vineyards planted with Folle Blanche (aka Piquepoul), Colombard, and Ugni Blanc (Saint-Emilion). J. Nismes-Delclou is the oldest firm producing Armagnac, having been established in 1832 by Baron Hausmann. It boasts an exceptional collection of vintage Armagnacs, with more than forty authenticated vintages - the oldest dating from 1881 - crafted from the best products of the Bas Armagnac region and matured in cellars more than a hundred years old. Long ageing in old casks has made this into an incredibly velvety Armagnac, full of seductive notes of violets and cinammon, caramel and dried stone fruits. This prestigious Armagnac comes in its own elegant, wooden presentation box . Long ageing in old casks has made this into an incredibly velvety Armagnac, full of seductive notes of violets and cinammon, caramel and dried stone fruits. This prestigious Armagnac comes in its own elegant, wooden presentation box. Luscious, rich and rounded, this XO Armagnac shows a plethora of dried fruit, spice and nutty elements. Balanced by the fleshy texture and elusive floral hints that separate the truly great from the merely perfunctory, surely this is how the best days should end. The 1996 Armagnac h has copper tints, a charming nose, leather notes which reflect its old age, and some touches of vanilla. Smooth in the mouth it is round but spicy, with very harmonious tannins and perfect wood flavours. Well balanced with no acidity, this Armagnac is voluptuous with an exceptional structure. J. Nismes-Delclou is the oldest firm producing Armagnac, having been established in 1832 by Baron Hausmann. It boasts an exceptional collection of vintage Armagnacs, with more than forty authenticated vintages - the oldest dating from 1881 - crafted from the best products of the Bas Armagnac region and matured in cellars more than a hundred years old. Long ageing in old casks has made this into an incredibly velvety Armagnac, full of seductive notes of violets and cinammon, caramel and dried stone fruits. This prestigious Armagnac comes in its own elegant, wooden presentation box . 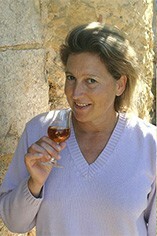 The 1990 Armagnac is light golden, with a relatively neutral nose. Smooth in the mouth, it is nonetheless powerful with a pleasant, enduring structure. J. Nismes-Delclou is the oldest firm producing Armagnac, having been established in 1832 by Baron Hausmann. It boasts an exceptional collection of vintage Armagnacs, with more than forty authenticated vintages - the oldest dating from 1881 - crafted from the best products of the Bas Armagnac region and matured in cellars more than a hundred years old. Long ageing in old casks has made this into an incredibly velvety Armagnac, full of seductive notes of violets and cinammon, caramel and dried stone fruits. This prestigious Armagnac comes in its own elegant, wooden presentation box and it makes a superb anniversary gift. The 1989 Armagnac has an aged, golden, almost coppery colour. It possesses a nose that reflects this maturity, though the mouth is simple and well balanced. J. Nismes-Delclou is the oldest firm producing Armagnac, having been established in 1832 by Baron Hausmann. It boasts an exceptional collection of vintage Armagnacs, with more than forty authenticated vintages - the oldest dating from 1881 - crafted from the best products of the Bas Armagnac region and matured in cellars more than a hundred years old. Long ageing in old casks has made this into an incredibly velvety Armagnac, full of seductive notes of violets and cinammon, caramel and dried stone fruits. This prestigious Armagnac comes in its own elegant, wooden presentation box and it makes an ideal gift for someone born in 1989 and a superb anniversary gift. The 1988 Armagnac is light golden, with a powerful, yet pleasant, nose and a well-balanced, short end. J. Nismes-Delclou is the oldest firm producing Armagnac, having been established in 1832 by Baron Hausmann. It boasts an exceptional collection of vintage Armagnacs, with more than forty authenticated vintages - the oldest dating from 1881 - crafted from the best products of the Bas Armagnac region and matured in cellars more than a hundred years old. Long ageing in old casks has made this into an incredibly velvety Armagnac, full of seductive notes of violets and cinammon, caramel and dried stone fruits. This prestigious Armagnac comes in its own elegant, wooden presentation box and it makes an ideal gift for someone born in 1988 and a superb anniversary gift. The 1987 Armagnac is, like its younger siblings, light golden with a powerful but pleasant nose; however, its robust structure culminates in a markedly sweeter end. J. Nismes-Delclou is the oldest firm producing Armagnac, having been established in 1832 by Baron Hausmann. It boasts an exceptional collection of vintage Armagnacs, with more than forty authenticated vintages - the oldest dating from 1881 - crafted from the best products of the Bas Armagnac region and matured in cellars more than a hundred years old. Long ageing in old casks has made this into an incredibly velvety Armagnac, full of seductive notes of violets and cinammon, caramel and dried stone fruits. This prestigious Armagnac comes in its own elegant, wooden presentation box and it makes an ideal gift for someone born in 1987 and a superb anniversary gift. This 1986 Armagnac’s pale colour belies a complex nose that is, nonetheless, smooth in the mouth, culminating in a light and pleasant end. J. Nismes-Delclou is the oldest firm producing Armagnac, having been established in 1832 by Baron Hausmann. It boasts an exceptional collection of vintage Armagnacs, with more than forty authenticated vintages - the oldest dating from 1881 - crafted from the best products of the Bas Armagnac region and matured in cellars more than a hundred years old. Long ageing in old casks has made this into an incredibly velvety Armagnac, full of seductive notes of violets and cinammon, caramel and dried stone fruits. This prestigious Armagnac comes in its own elegant, wooden presentation box and it makes an ideal gift for someone born in 1986 and a superb anniversary gift. J. Nismes-Delclou is the oldest firm producing Armagnac, having been established in 1832 by Baron Hausmann. It boasts an exceptional collection of vintage Armagnacs, with more than forty authenticated vintages - the oldest dating from 1881 - crafted from the best products of the Bas Armagnac region and matured in cellars more than a hundred years old. Long ageing in old casks has made this into an incredibly velvety Armagnac, full of seductive notes of violets and cinammon, caramel and dried stone fruits. This prestigious Armagnac comes in its own elegant, wooden presentation box and it makes an ideal gift for someone born in 1985 and a superb anniversary gift. Possessing a lively nose with hints of wood and vanilla, this 1984 Armagnac is well structured and brimming with spicy, fruity flavours. J. Nismes-Delclou is the oldest firm producing Armagnac, having been established in 1832 by Baron Hausmann. It boasts an exceptional collection of vintage Armagnacs, with more than forty authenticated vintages - the oldest dating from 1881 - crafted from the best products of the Bas Armagnac region and matured in cellars more than a hundred years old. Long ageing in old casks has made this into an incredibly velvety Armagnac, full of seductive notes of violets and cinammon, caramel and dried stone fruits. This prestigious Armagnac comes in its own elegant, wooden presentation box and it makes an ideal gift for someone born in 1984 and a superb anniversary gift. The 1983 Armagnac’s pale, golden hue contains flavours of vanilla and macerated fruits. Pronounced floral notes lead gently into a mouth that is both light and mellow. J. Nismes-Delclou is the oldest firm producing Armagnac, having been established in 1832 by Baron Hausmann. It boasts an exceptional collection of vintage Armagnacs, with more than forty authenticated vintages - the oldest dating from 1881 - crafted from the best products of the Bas Armagnac region and matured in cellars more than a hundred years old. Long ageing in old casks has made this into an incredibly velvety Armagnac, full of seductive notes of violets and cinammon, caramel and dried stone fruits. This prestigious Armagnac comes in its own elegant, wooden presentation box and it makes an ideal gift for someone born in 1983 and a superb anniversary gift. J. Nismes-Delclou is the oldest firm producing Armagnac, having been established in 1832 by Baron Hausmann. It boasts an exceptional collection of vintage Armagnacs, with more than forty authenticated vintages - the oldest dating from 1881 - crafted from the best products of the Bas Armagnac region and matured in cellars more than a hundred years old. Long ageing in old casks has made this into an incredibly velvety Armagnac, full of seductive notes of violets and cinammon, caramel and dried stone fruits. This prestigious Armagnac comes in its own elegant, wooden presentation box and it makes an ideal gift for someone born in 1982 and a superb anniversary gift. The 1981 Armagnac is light and easy, with gentle notes and subtle flavours of prune. J. Nismes-Delclou is the oldest firm producing Armagnac, having been established in 1832 by Baron Hausmann. It boasts an exceptional collection of vintage Armagnacs, with more than forty authenticated vintages - the oldest dating from 1881 - crafted from the best products of the Bas Armagnac region and matured in cellars more than a hundred years old. Long ageing in old casks has made this into an incredibly velvety Armagnac, full of seductive notes of violets and cinammon, caramel and dried stone fruits. This prestigious Armagnac comes in its own elegant, wooden presentation box and it makes an ideal gift for someone born in 1981 and a superb anniversary gift. 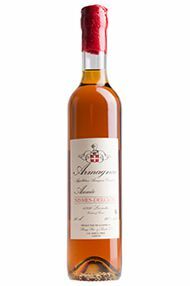 The 1980 Armagnac is light and easy, with gentle notes and subtle flavours of prune, as well as an increasingly nutty rancio. J. Nismes-Delclou is the oldest firm producing Armagnac, having been established in 1832 by Baron Hausmann. It boasts an exceptional collection of vintage Armagnacs, with more than forty authenticated vintages - the oldest dating from 1881 - crafted from the best products of the Bas Armagnac region and matured in cellars more than a hundred years old. Long ageing in old casks has made this into an incredibly velvety Armagnac, full of seductive notes of violets and cinammon, caramel and dried stone fruits. This prestigious Armagnac comes in its own elegant, wooden presentation box and it makes an ideal gift for someone born in 1980 and a superb anniversary gift. The 1979 Armagnac is long in the mouth and frank – it will stand up to you. After the initial introduction come fruity aromas of peach, prune and vanilla. J. Nismes-Delclou is the oldest firm producing Armagnac, having been established in 1832 by Baron Hausmann, then Chief Commissioner of Police in Paris. It boasts an exceptional collection of vintage Armagnacs, with more than forty authenticated vintages - the oldest dating from 1881 - crafted from the best products of the Bas Armagnac region and matured in cellars more than a hundred years old. Long ageing in old casks has made this into an incredibly velvety Armagnac, full of seductive notes of violets and cinammon, caramel and dried stone fruits. This prestigious Armagnac makes an ideal gift for someone born in 19 and a superb anniversary gift. The 1978 Armagnac has a topaz and sienna hue with flecks of orange. It offers a nose with complex flavours that marry animal notes, like leather, with fruity and floral ones, like eucalyptus, dry fig and tobacco, As it warms in the glass, you can smell praline and fur. The palate is frank, with notes of dried fruit,prune, grape, orange bark and almond, and a denouement of white chocolate flavours. J. Nismes-Delclou is the oldest firm producing Armagnac, having been established in 1832 by Baron Hausmann. It boasts an exceptional collection of vintage Armagnacs, with more than forty authenticated vintages - the oldest dating from 1881 - crafted from the best products of the Bas Armagnac region and matured in cellars more than a hundred years old. Long ageing in old casks has made this into an incredibly velvety Armagnac, full of seductive notes of violets and cinammon, caramel and dried stone fruits. This prestigious Armagnac comes in its own elegant, wooden presentation box and it makes an ideal gift for someone born in 1978 and a superb anniversary gift. 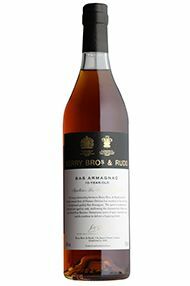 The 1977 Armagnac’s brassy, moderate colour belies a bouquet with a fine range of aromas that includes intense crystallised fruit, as well as just the right amount of spice. The taste is mellow, yet well developed, with an emphasis on plum and a subtle woodiness. J. Nismes-Delclou is the oldest firm producing Armagnac, having been established in 1832 by Baron Hausmann, then Chief Commissioner of Police in Paris. It boasts an exceptional collection of vintage Armagnacs, with more than forty authenticated vintages - the oldest dating from 1881 - crafted from the best products of the Bas Armagnac region and matured in cellars more than a hundred years old. Long ageing in old casks has made this into an incredibly velvety Armagnac, full of seductive notes of violets and cinammon, caramel and dried stone fruits. This prestigious Armagnac makes an ideal gift for someone born in 1977 and a superb anniversary gift. This 1976 Armagnac possesses a wooden nose, though it’s not overbearing. Elsewhere there are notes of prune and other deep, fruity flavours. J. Nismes-Delclou is the oldest firm producing Armagnac, having been established in 1832 by Baron Hausmann, then Chief Commissioner of Police in Paris. It boasts an exceptional collection of vintage Armagnacs, with more than forty authenticated vintages - the oldest dating from 1881 - crafted from the best products of the Bas Armagnac region and matured in cellars more than a hundred years old. Long ageing in old casks has made this into an incredibly velvety Armagnac, full of seductive notes of violets and cinammon, caramel and dried stone fruits. This prestigious Armagnac makes an ideal gift for someone born in 1976 and a superb anniversary gift. This 1975 Armagnac has an amber hue with a topaz/orange tint. It’s also got a very well balanced nose: smooth and tender notes marry flavours as varied as molasses, dry banana, rice powder, white chocolate, nettle flower and petunia (chocolate, iodine and wisteria). After warming it offers leather flavours as well as dry wood, white truffle and quinine bark. The mouth is smooth and woody, with chocolate truffle, vanilla, cinnamon and brioche-like hints. The final touch is sharp with notes of liquorice. J. Nismes-Delclou is the oldest firm producing Armagnac, having been established in 1832 by Baron Hausmann, then Chief Commissioner of Police in Paris. It boasts an exceptional collection of vintage Armagnacs, with more than forty authenticated vintages - the oldest dating from 1881 - crafted from the best products of the Bas Armagnac region and matured in cellars more than a hundred years old. Long ageing in old casks has made this into an incredibly velvety Armagnac, full of seductive notes of violets and cinammon, caramel and dried stone fruits. This prestigious Armagnac makes an ideal gift for someone born in 1975 and a superb anniversary gift. A very fruity bouquet of fresh and lively orange aromas leaps from this 1974 Armagnac. It has a complex, exotic nose but no coarseness or unwelcome alcohol heat. There are light, elegant, fruity flavours and a refreshing quality: perfect for perking up the palate after a heavy meal. This is a fine digestif with an interesting, spicy, almost mineral aftertaste. J. Nismes-Delclou is the oldest firm producing Armagnac, having been established in 1832 by Baron Hausmann, then Chief Commissioner of Police in Paris. It boasts an exceptional collection of vintage Armagnacs, with more than forty authenticated vintages - the oldest dating from 1881 - crafted from the best products of the Bas Armagnac region and matured in cellars more than a hundred years old. Long ageing in old casks has made this into an incredibly velvety Armagnac, full of seductive notes of violets and cinammon, caramel and dried stone fruits. This prestigious Armagnac makes an ideal gift for someone born in 1974 and a superb anniversary gift. An aged golden colour perfectly complements this 1973 Armagnac’s discreet nose. There’s a soft attack in the mouth but the taste, overall, is very well balanced, with some nice rancio notes on the finish. J. Nismes-Delclou is the oldest firm producing Armagnac, having been established in 1832 by Baron Hausmann, then Chief Commissioner of Police in Paris. It boasts an exceptional collection of vintage Armagnacs, with more than forty authenticated vintages - the oldest dating from 1881 - crafted from the best products of the Bas Armagnac region and matured in cellars more than a hundred years old. Long ageing in old casks has made this into an incredibly velvety Armagnac, full of seductive notes of violets and cinammon, caramel and dried stone fruits. This prestigious Armagnac makes an ideal gift for someone born in 1973 and a superb anniversary gift. The pedigree of this 1972 Armagnac has endured since its bronze medal win at the 1998 International Wine Challenge® in France – in fact, if anything, it has gotten even better. J. Nismes-Delclou is the oldest firm producing Armagnac, having been established in 1832 by Baron Hausmann, then Chief Commissioner of Police in Paris. It boasts an exceptional collection of vintage Armagnacs, with more than forty authenticated vintages - the oldest dating from 1881 - crafted from the best products of the Bas Armagnac region and matured in cellars more than a hundred years old. Long ageing in old casks has made this into an incredibly velvety Armagnac, full of seductive notes of violets and cinammon, caramel and dried stone fruits. This prestigious Armagnac makes an ideal gift for someone born in 1972 and a superb anniversary gift. This 1971 Armagnac is very smooth and agreeable, with a plethora of aromas. J. Nismes-Delclou is the oldest firm producing Armagnac, having been established in 1832 by Baron Hausmann. It boasts an exceptional collection of vintage Armagnacs, with more than forty authenticated vintages - the oldest dating from 1881 - crafted from the best products of the Bas Armagnac region and matured in cellars more than a hundred years old. Long ageing in old casks has made this into an incredibly velvety Armagnac, full of seductive notes of violets and cinammon, caramel and dried stone fruits. This prestigious Armagnac comes in its own elegant, wooden presentation box and it makes an ideal gift for someone born in 1971 and a superb anniversary gift.